5. A lovely blog reader sent me the link to this treasury that contained this item. 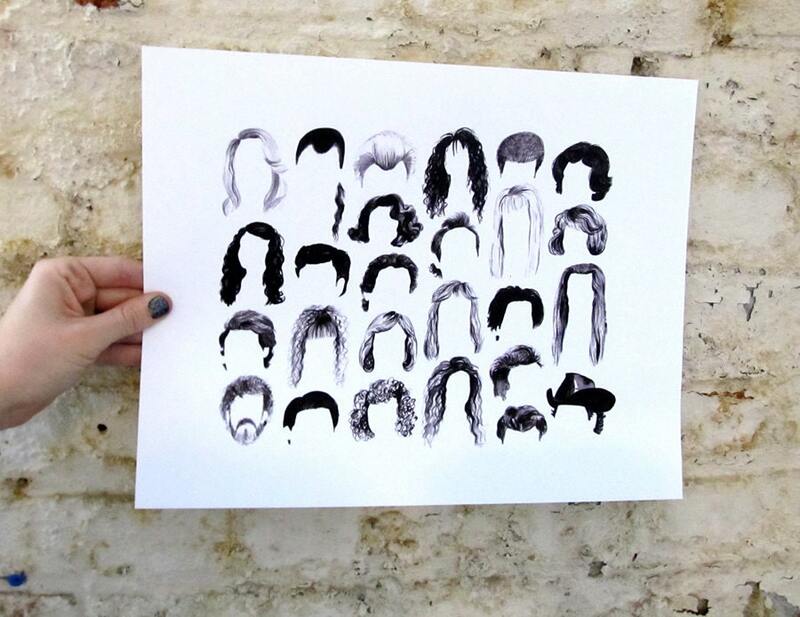 It is a print of Twin Peaks hair-dos! Isn't it so neat? Thanks to Saskia for sending me the link! 3. 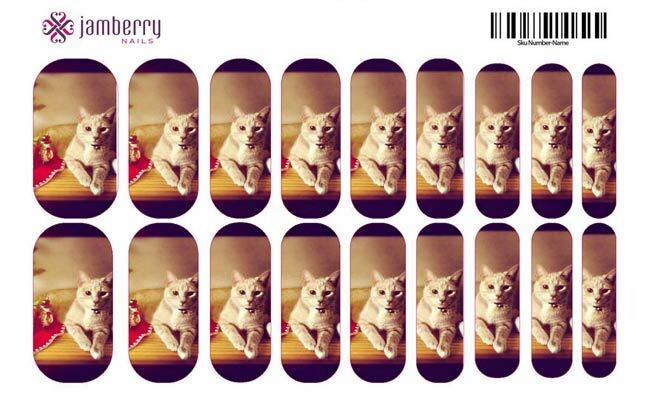 This page has a whole bunch of neat nail stickers but these are the coolest. No, not just because they are cats...you can create your own design! 2. This swimsuit from OFabz is so pretty! I love the colours and the polkadots! 1. The paper plants are so pretty. They would be perfect for me because I am exceptionally skilled at killing houseplants. After complaining so much about my cold last week I should probably mention that I am feeling much better. I still have to blow my nose more than I would like to and I have a tiny cough but thank goodness it is mostly gone. I really hope that we start to get some real spring weather soon. It has been snowing a little everyday and it is starting to drive me crazy! I need spring now! How is the weather where you live? GIVEAWAY ON MY BLOG TODAY!!! I live in north of Italy near Venice and here it's 17C°! (63F°) It's sunny today!! We're still stuck in mid-winter, too. It's been snowing the past days and it's freezing cold. Definitely about time for a change in temperatures! That swimsuit is adorable! I am not usually a polka dot person, but I really love it in this case. It's snowed here yesterday and is supposed to continue throughout the weekend. Blegh! the twin peaks hair print is awesome. Weather in London is waaaay too cold and windy for my liking and it's supposed to get worse over the weekend - I'm hoping spring will arrive with april! I honestly love everything you posted in this post, the swimsuit, the nail stickers, the plants...all so cute! The paper plants would be the best for me, because I too am horrible at keeping houseplants alive, haha! The weather here (in NC) is decent. We've had a few days of nice mid-sixties, but for the most part it has been pretty cold! We don't get snow or anything, but I am so tired of wearing coats and layers. Hurry up Spring weather!! The Twin Peaks hair-dos are brilliant! Plenty of rain and floods where I live. I'd do just about anything (almost) to see some sunshine. that print!! twin peaks is the best ever. I literally just spent ten minutes placing every hairstyle with a character. Oh my, I think I need that Twin Peaks hair poster not only because it is completely fabulous but because it will drive my partner (who I think may actually have a phobia of eighties and nineties haircuts) crazy! And that will be hilarious. So great! You just convinced me to get cat-inspired stuff and polka dots. Happy Friday to you. That swimsuit is awesome might need to be the one i get this year. P.S. Every time I see your picture, it makes me miss when I had blue hair. THe Twin Peaks hairstyles are awesome!